Please provide us your valuable feedback about Phone Support or Email Support to improve our services, which will help us to improve our Customer Service. (1) Whether Our Customer Service Representative was able to pick-up your phone call on first three rings? (2) Were you able to listen the voice of our Customer Service Representative clearly? (3) Whether there was any voice disturbance on phone line? (4) Whether our Customer Service Representative able to understand your concerns? 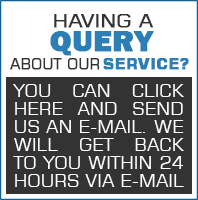 (5) Whether our Customer Service Representative able to resolve your concerns?